Over at SWAT we have a couple of challenges going on until the end of the month. 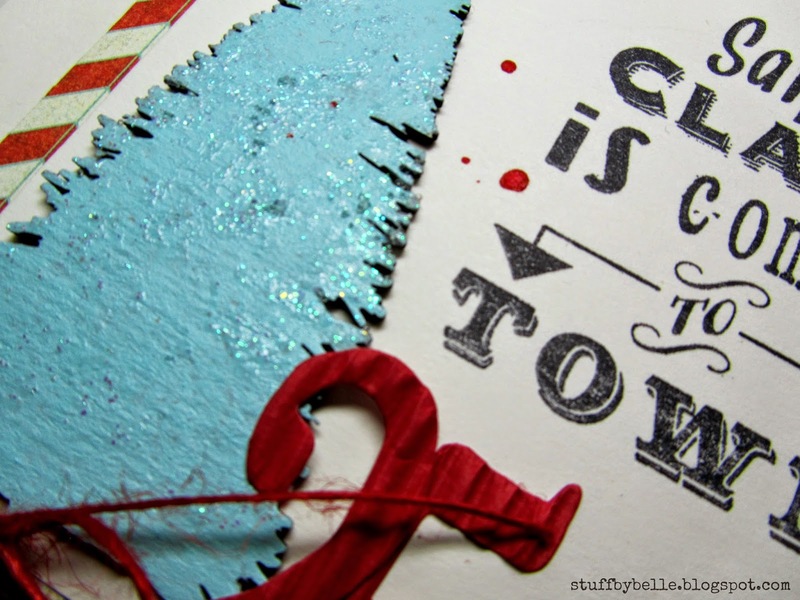 Are you making your Christmas cards??? One of my traditions is to make my own Christmas cards. I have been doing it since I was in high school, and that was quite a while ago. I am OBESSED with sisal trees and this one is SUPERB. I also used one of my favorite Viva Las VegaStamps! 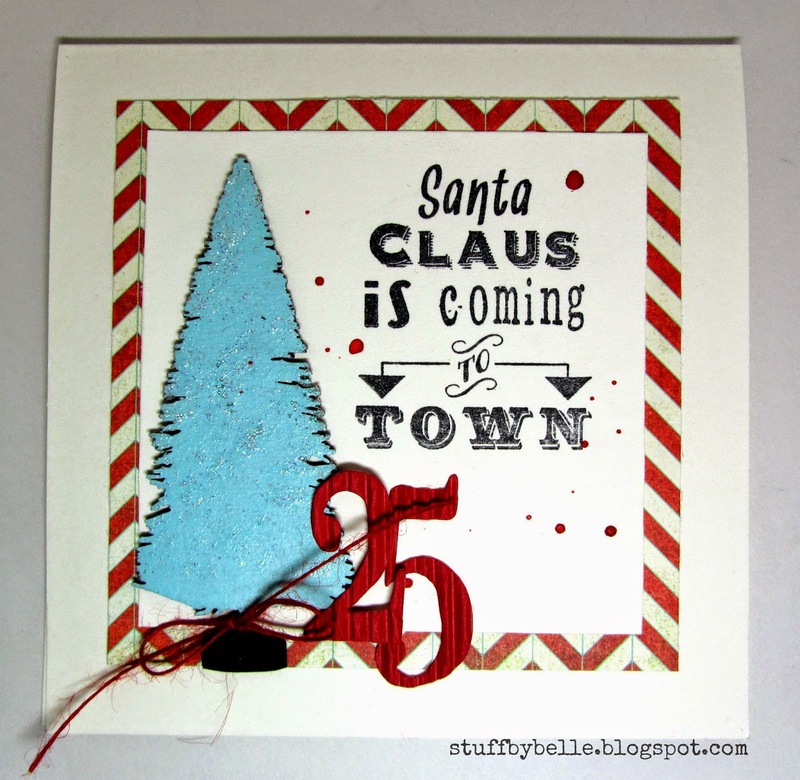 Christmas sentiments, Santa Claus is coming to town, May Arts burlap string, Basic Grey paper, Tattered Angels Glimmer Mist, Tim Holtz die, Faber Castell glitter and bead paste, Distress Paint and archival ink. We at SWAT want to know if you took some time for yourself away from all of the hustle and bustle...if you did make sure you get linked up!! Labels: Basic Grey, may arts, SWAT, Tattered Angels, Um Wow Studio, Viva La VegaStamp!, VLVS!